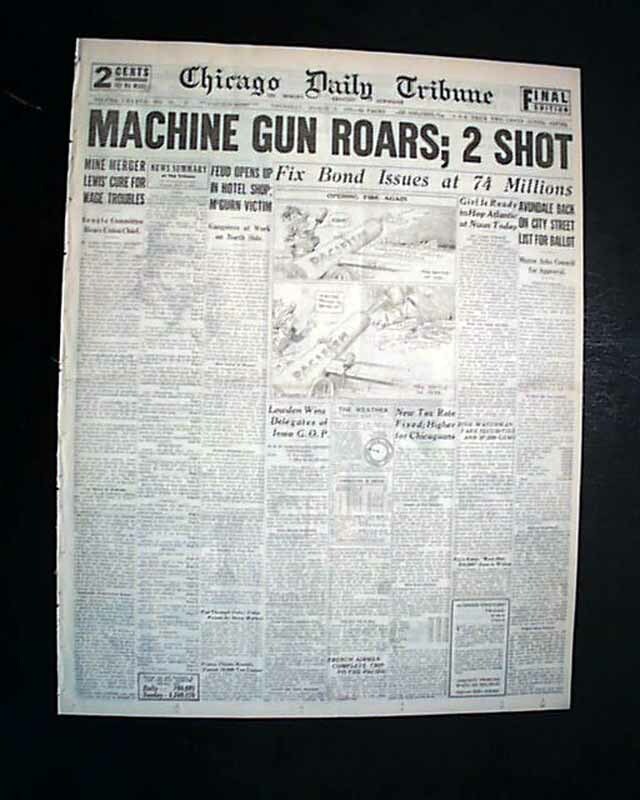 The front page has a great banner headline concerning the gangland wars in Chicago that reads: "MACHINE GUN ROARS; 2 SHOT" with subheads. Nice for display. 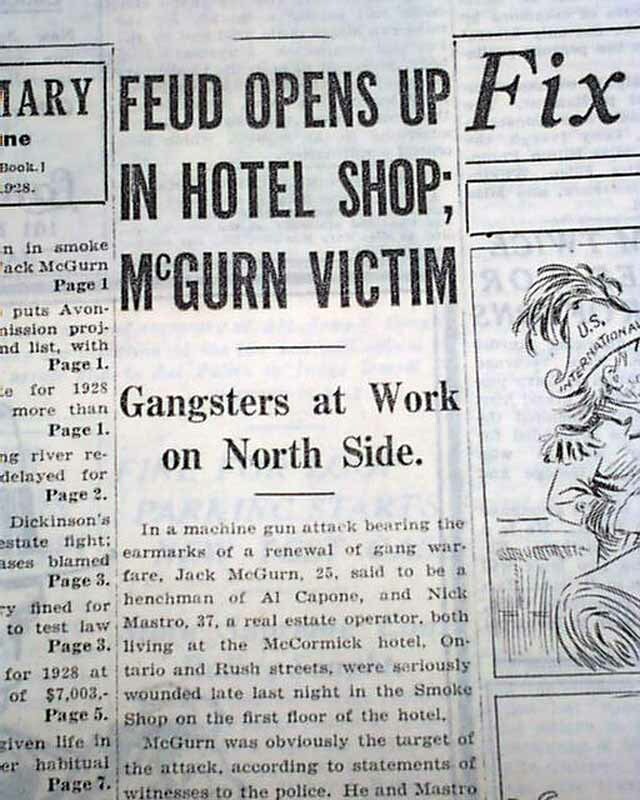 This particular event involved "Machine Gun" Jack McGurn who was infamous for his involvement in the St.Valentine's Day massacre the following year. 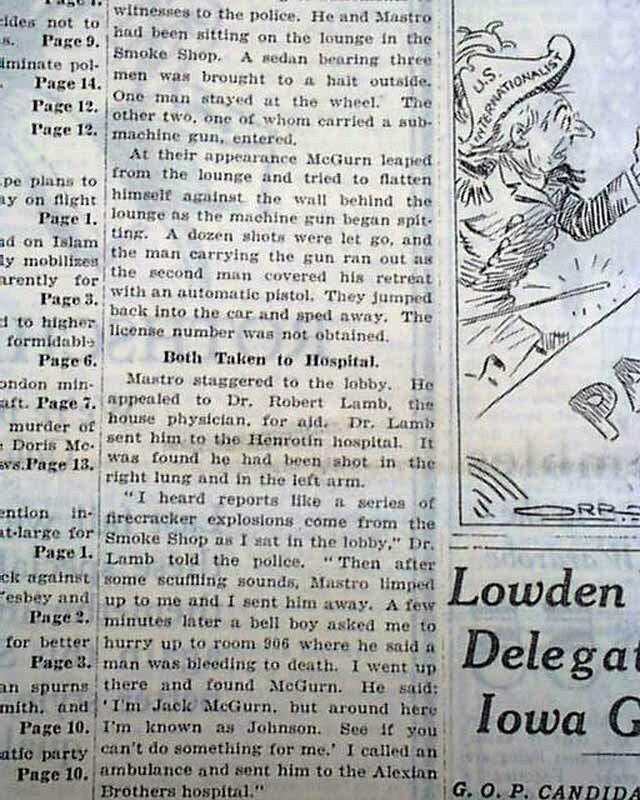 Complete with all 34 pages. 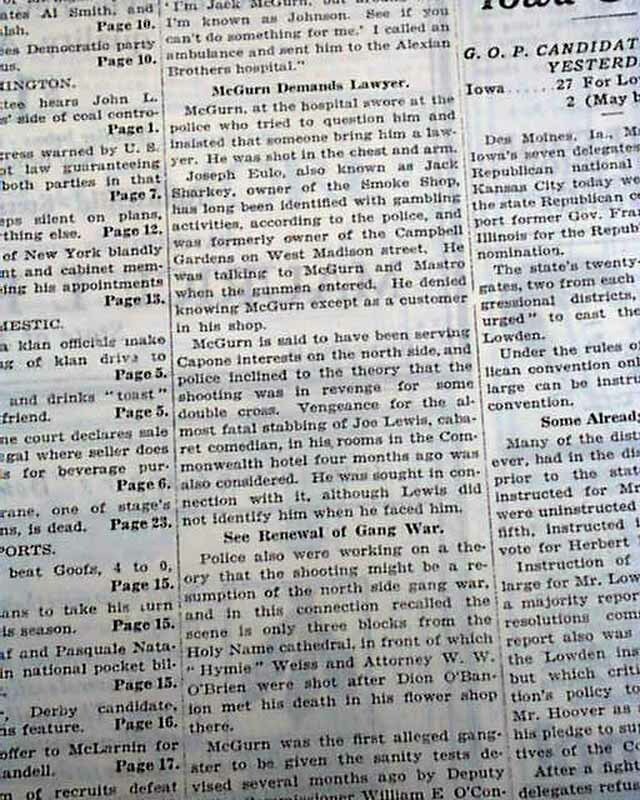 This is the "rag edition" printed on very high quality newsprint meant for institutional holdings. In great condition as such.